Everyone negotiates at some level everyday. Eg. Your partner wants to purchase something that will stretch the family budget or the kids are wanting to stay up late to watch a movie. How you deal with these challenges is most likely by negotiation. Negotiation is simply two or more people wanting the best outcome for the exchange of goods, service, time or money. The process involves having empathy for the other person situation and not to attempt to conquer. You should seek out common ground and determine the best outcome for all involved while keeping the big picture in mind at all times. If you only do one step, this one is by far the most significant as doing your homework will normally achieve the best solution. Where are you prepare to make concessions and what sets a No Deal. Identify your options. Are there other solutions or suppliers you can consider. What is the solution going to be worth to you and the other person. The more options you have, the stronger your position is to negotiation. Even if one option provided the best option, have others at hand. For example, if you are looking at leasing a building and one property stands out for you, talk to the other agents about properties to know what is available. It's also amazing how news will travel too. You have a much stronger position if you drive the negotiations. Set the agenda including a topic or expected outcome, time, location and what you wish to cover in the form of a list. Gaining acceptance and suggestions for the agenda from the other person is important at this stage. Ensure you are talking to the decision maker. Ask if they have the authority to close a deal. Build trust and credibility with this person and communicate that you are serious about finding a solution. 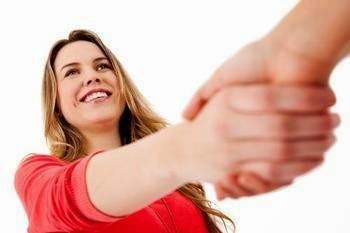 Create rapport with some small talk around mutual interest and common connections. The next part is the offer. It's best to get the other person to declare an offer first. The first offer and the responding offer normally sets the limits for the negotiations and it's likely the solution is somewhere between these two offers. Negotiations should include a game strategy of point scoring to keep it interesting. So use your list from the agenda and keep score and a good game is one that is close. You both need to come out as winners. Build engagement by using emotive words such as "We" or their name and never personalise an issue. For example, if a proposed contract is not suitable, avoid "Your contract is no good." better to say, "We can fix this contract.". Seek to understand their needs, so ask lots of open questions. This creates a sense of security and that you intend to provide what they are seeking. It will also identify new opportunities. Always reflect back what your understanding is and record to avoid any misunderstanding. Now for the score card with the big picture in mind. Trade off any concessions one for one and never surrender for no gain. Most people will meet you half way on most items. You should now be at a point of a done deal. You will be surprised at what people will throw into the deal to secure it. Just ask. Sometime when we point something out and what it may mean to the other person, they are willing to consider adding it to the deal for nothing. For example leasing an office, "So these old desk and chairs, are you wanting to remove them or can we have them?" You should now have secured the deal. Clearly write up what is being supplied, what is to come and the level of backup that has been agreed to. Both to sign and date the agreement. Never take the outcome personally and always be prepared to walk away from the negotiations. Opportunities happen all of the time and you never know, a better solution may be just around the corner. You can also engage purchasing professionals to act on your behalf if the deal is important. Contact the Adelaide Hills Business Centre if you need further information or assistance on negotiating.